This month we are starting our palette trend blog. Every month we put together fabrics, paint or surface coverings to facilitate a color composition using our favorite picks and the latest fabrics the design trade has to offer. 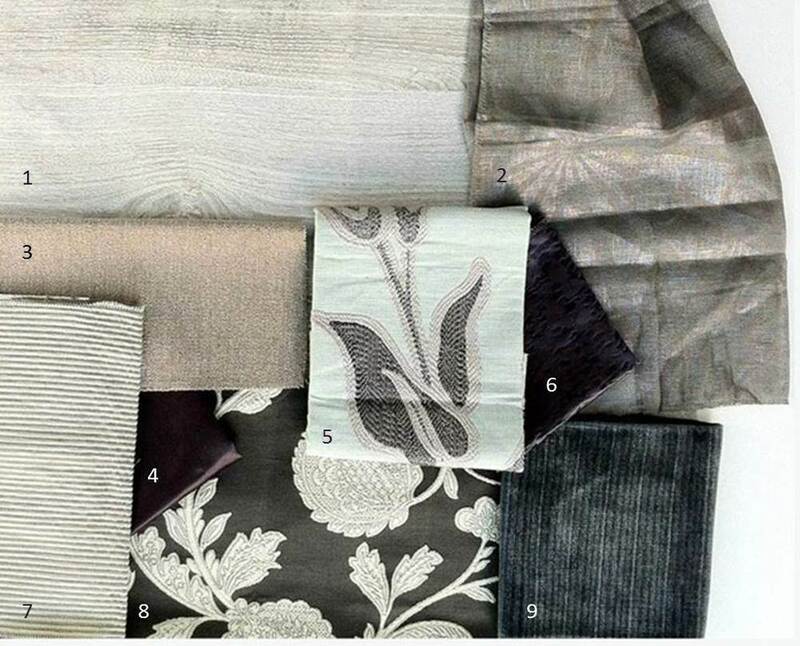 This composition is made of predominantly grey fabrics. For a home décor we steer away from the dull with high contrast fabric patterns, warm beiges and organic wood grain wall paper, a touch of burgundy gives a neutral palette a splash of color achieving a rich and delicate look.